In the U.S., at least 250,000 new cases of invasive breast cancer will be diagnosed in women this year, according to the American Cancer Society. So, when it comes to screening for that cancer, there are a number of options to consider. Dr. Karthik Ghosh, director of the Mayo Clinic Breast Diagnostic Clinic, says mammogram is still the best test to screen the breast for women an average risk of breast cancer. "It has really been one of the long-standing tests, with a lot of research showing that there is a decrease in mortality." 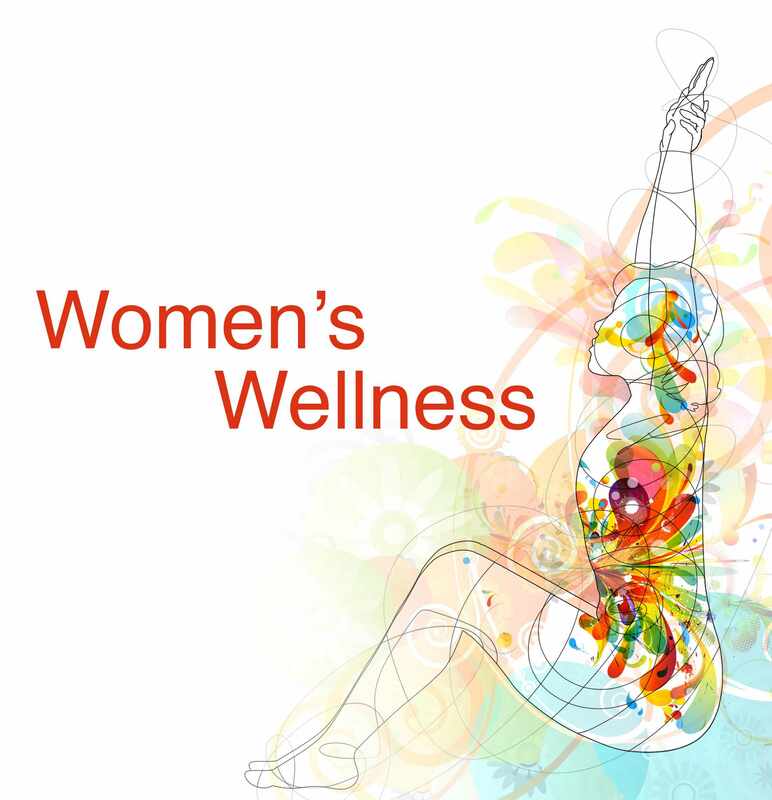 Dr. Ghosh says the U.S. Preventive Services Task Force recommends that women 40 to 49 consider screening after discussion with their health care provider. For women 50 to 75, mammograms should be performed every other year. Dr. Ghosh adds there can be downsides to a mammogram, which include callbacks for further testing, false positives and the anxiety related to those events. Watch: Dr. Ghosh discusses breast cancer screening. Overdiagnosis is another part of the screening discussion, according to Dr. Ghosh. "The whole idea of overdiagnosis is that, if you go through yearly screening mammography, more cancers would be diagnosed too early." She says there could be a very slow growing cancer that may not cause harm for several years. "I think that’s where the challenge really lies," says Dr. Ghosh. "How do I tell a patient, well, don’t worry, because the cancer we find now won’t cause you harm until five years from now." Dr. Ghosh also says the ability of the mammogram to pick up cancers is limited, because there could be areas of a tumor hiding within dense breast tissue. 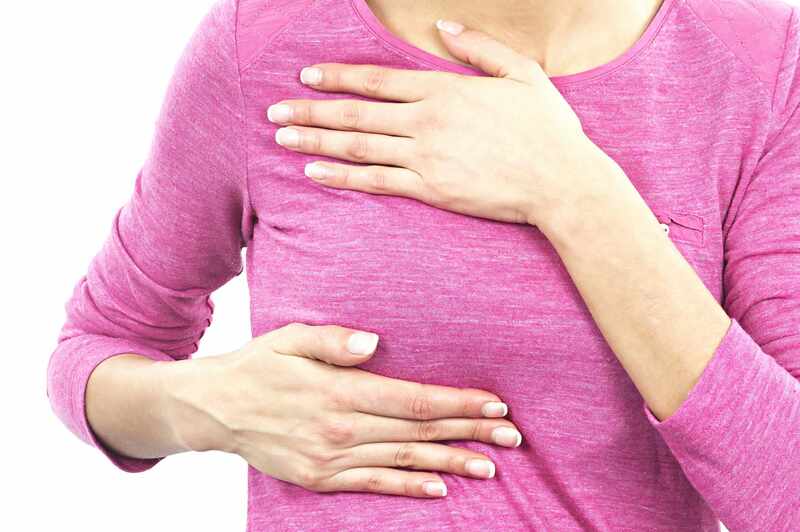 "For women who have dense breasts, it is important to understand there are additional tests. We call it supplemental screening, and these are tests done in addition to mammogram that help us pick out those potentially small cancers or even invasive cancers." Dr. Ghosh says a 3-D mammogram, which is also called tomosynthesis, can be another option for screening. 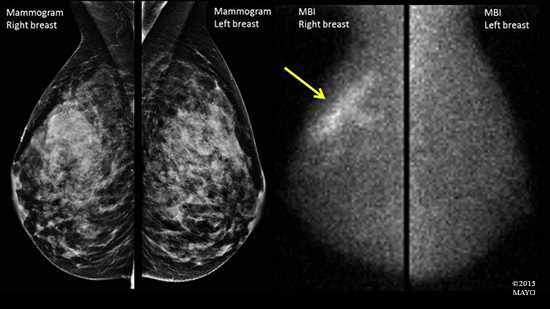 Molecular breast imaging is also helpful for women with dense breasts. "For molecular breast imaging, you get an IV injection, and that is actually a radioisotope, very low-dose radiation there that gets injected," says Dr. Ghosh. "You have an image of the breast, and it basically highlights areas that are metabolically active in the breast, and that does help us pick out areas that may potentially be malignant or cancerous." Women who are gene mutation carriers — people with BRCA1 or BRCA2 — are considered very high risk. They carry it, or they have a first-degree relative who carries one of the genes. Dr. Ghosh says those patients are candidate for an MRI of the breast. "MRI of the breast is very specialized, which means you get an IV injection of gadolinium that’s excreted by the kidneys, but it highlights breast tissue very well," says Dr. Ghosh. 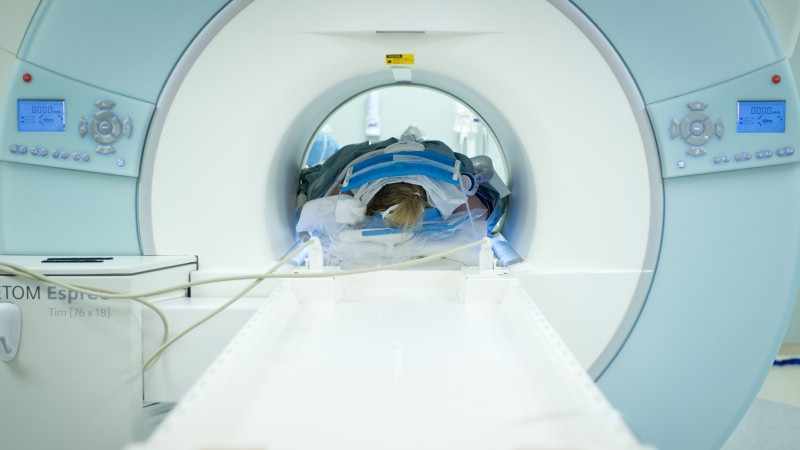 "The downside of MRI is that, because it’s highly sensitive, it is able to pick up even the smallest cancer and false positives are quite high. It requires a lot of effort and time read results, and it’s an expensive tool." Women with a lifetime risk of 20 percent or higher also qualify to have yearly screening MRI, in addition to mammography. Dr. Ghosh says, "There are women who perhaps had Hodgkins disease and chest radiation when they were younger, and they are considered at higher risk." "It’s really picking and choosing which is best for the patient. I think having an informed decision with your provider to say, 'What are my risks?,' assessing the risks, and then saying this is potentially my best choice for screening. It's very much a patient-driven decision." 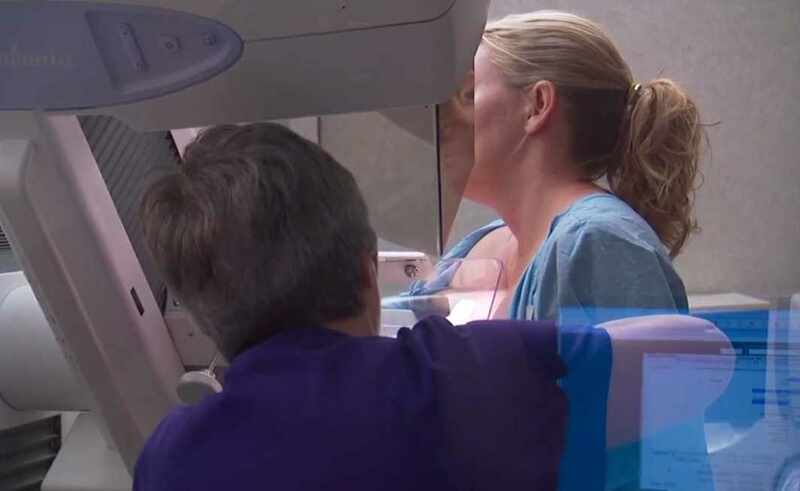 Watch: New breast cancer screening. Dr. Ghosh says some of the newest areas of research include an abbreviated MRI. "It's a shorter kind of test, and there are preliminary studies showing it may work very well." Dr. Ghosh adds, "There are also new studies on reducing unnecessary treatment, because we're always looking for ways to tailor the treatment to what patient needs." "There is hope. No matter where we are in the cancer spectrum, I think this is a very promising time that treatments are available. And even if something isn’t working, there are opportunities to change and try something different." For instance, it used to be that all lymph nodes were removed during mastectomies. But, now, Dr. Ghosh says, "We’ve tailored it to taking out just the diseased tissue." She continues, "There’s also partial breast radiation and proton beam options, which can narrow down the amount of exposure for the tissues." Watch: New breast cancer drug is ‘very exciting’. Dr. Ghosh says she encourages women to participate in research trials. "Participation in research helps the patient as well as future generations." She adds, "There is hope. No matter where we are in the cancer spectrum, I think this is a very promising time that treatments are available. And even if something isn’t working, there are opportunities to change and try something different." Finally, Dr. Ghosh says, "For all women at this time, screening is important in terms of ensuring that we are careful about our health, and it is a promising time in that there are newer techniques available to screen for breast cancer and a promising time also that, even if we do get diagnosed with breast cancer, there are many options available to us that will help us live healthy, fulfilling lives." Mayo Clinic Minute: Do mammograms work?